Addana could tell that the thwap-thwap-thwap didn’t just come from crossing the metal grating on the drawbridge. The wonky steering confirmed it. She had a flat. As soon as she got off the St. Claude Bridge, she pulled her Ranger into the parking lot of an abandoned gas station to assess the damage. She climbed out of the truck and quickly scanned her surroundings, always making sure that she hadn’t put herself in a compromising position. She didn’t see anything threatening, but as usual, the setting dimmed her spirits a bit. The roll-down security shutters still covered the front windows of the minimart from when the owner had left at the end of August. The customary X with its arcane numbers and slashes and whatnot -- notes from the search and rescue operations -- remained too, in bright orange spray paint on the front of the building. The sign advertising the price of gas showed what it had cost August 27. Addana sighed; all these things reminded her of how much further her neighborhood still had to come. She looked down at the tire. With all the construction and debris all over the place, flat tires had become a monthly -- if not at times more frequent -- part of living in New Orleans. This one appeared particularly bad. Complete tread separation. She saw a giant framing nail, its head scraped down to a gleaming shine, sticking out. Most likely the culprit. Addana had started timing herself like the dad in A Christmas Story. Eight minutes was her time to beat. She checked the time on her cell phone, then quickly went about taking the jack out of the cab and releasing the spare tire from its perch behind the rear axle. For a moment, she wished she had a huge Christmas tree in the back of her truck rather than more construction-grade trash bags and tarps. She wished she had Jarvis and Rodell in the cab, shouting encouragement at her as she worked. At least the temperature remained cool enough so as not to punish her. Flat tires in August and September really sucked. She sat down next to the tire and loosened the lug nuts before inserting the jack and raising the truck. Addana knew that deep, gravelly voice, and she didn’t dare look up, thinking that, even with how dark her skin was, he’d surely see the flush that crept up her cheeks. She could feel her face burning. A few days back she’d resolved to ask him out if she saw him again, but she thought she’d have some warning. Instead, he just appeared behind her like a phantom. She took a couple of deep breaths before plastering a smile across her face and finally looking up, up, up into the pale blue gaze of Sergeant Colmes. I was right about the eyes, at least. “Afternoon, sir.” She wondered what else she would be right about. She took a deep breath to calm her nerves and hoped he didn’t see the giddiness she worked desperately to hide. “Need some help there?” he asked and knelt down next to the tire. She couldn’t tear her gaze away from him. This close, in the full sun, he looked even more handsome. A model soldier, like a well-aged poster boy from glorified World War Two propaganda. She’d certainly save her bacon fat for this GI. She finally managed to glance past him to where the private sat in the driver’s seat of the truck, its engine idling. She almost wished he wasn’t there to ruin her time with Colmes. “I can manage, thank you.” She didn’t mention that by distracting her, he’d ruined her time on this tire. She had to keep herself from scowling for a moment. Bad enough that she had some sort of irrational attraction to him, but then she realized she didn’t care. She wanted him there, looking out for her, as he’d promised he’d do. She kept working on the wheel, feeling his attention on her, the heat of his body radiating against her. She knew he watched her every movement, not even offering any kind of advice -- which would have been totally typical. No, he just watched and waited, and she appreciated that. Eventually, the silence started to feel somewhat awkward. “So, eh, what brings you to New Orleans?” she asked, knowing he’d probably misinterpret what she knew to be awed and bashful silence, and realizing she didn’t want to seem too rude. “Born, raised…most likely die here. Can’t see it any other way.” She spun off the last of the lug nuts and set them carefully on the pavement next to her. “Only temporarily.” She tried to keep the bitterness out of her voice. “Once I finish the house, I’m gonna bring my boys home.” She stood and pulled off the old tire, then threw it in the back of the truck, her back twinging ever so slightly at the effort. This one couldn’t get patched; she’d have to scrounge up the funds for a used replacement. “Two sons.” Thinking about them did bring a smile to her face, and she sure as hell wasn’t one of those single women that hid their children away from potential suitors. No. Any man that wanted Addana Carmouche had to have her boys too. She took a moment to glance at his face and check his reaction. She didn’t see any disgust there, so Colmes got another point in her book. She lined up the spare tire and slipped it on the bolts. “Not as sorry as me.” She meant it to sound slightly humorous, but she didn’t get that type of reaction from Colmes. Oh well. With that, Addana picked up the lug wrench and tightened the bolts. “Long enough.” She began lowering the truck. Did he cringe when he asked that? Addana stood, the weight of the jack in her hand. She hoped she didn’t appear too shocked. “Excuse me?” He’d beaten her to the punch. Here she’d been working, trying to find the nerve to do what she’d promised herself, and he’d up and pulled the rug out from beneath her. “Dinner maybe?” He raised his chin a bit, as if preparing to take a blow to the face, almost inviting her to hit him. The action nearly made her laugh, but she stifled it. He obviously didn’t expect a yes, but Addana felt relief that he harbored some of the same feelings for her that she had for him. She’d spent the last six months preparing to reenter the dating world, to start looking for a man that, though no one could ever replace the father of her boys, could offer her some stability, maybe a little adventure. “All right then.” Addana’s heart fluttered. “But nothing fancy.” She couldn’t believe she’d just agreed to it. She stuck out her free hand to him -- covered in tire dust and the grime of the road -- and he took it without a moment’s hesitation. She liked that. It showed he had…something. The touch conveyed a sense of sureness that reconfirmed Addana’s impressions of Colmes. A man she could see by her side. “Just leave the shotgun at home this time.” He smiled a little bigger, and his pale blue eyes crinkled up at the sides. That look felt dangerous. It might just get Addana to do things she’d regret later. He dropped her hand and turned back toward the truck. The private pulled into traffic, and Addana watched them drive away. She pulled her cell phone out of her pocket to check her time. It just doesn’t feel like the holiday season with her young boys still evacuated in Houston, but Addana Carmouche will make the best of it as she works to rebuild the home Hurricane Katrina destroyed only a few months earlier. 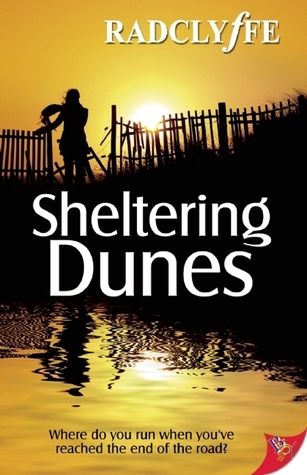 When Sergeant Aleister Colmes sees her on the street one day, he’s intrigued by the small, determined woman clearly living by herself in a place little better than a war zone. He takes it upon himself to look after her, and from that, something more develops. Love grows as Christmas approaches and the neighborhood shows signs of a slow, painful rebirth. But will their relationship survive Colmes’s retirement? His old farmhouse in Nebraska beckons, but so does the fiery woman who’s spirit and heart he’s come to adore. Addana will never leave Holy Cross. So Colmes may have to learn to love the neighborhood as much as he does her if they're going to stay together.